This post has been sponsored by Tyson Foods, Inc. All thoughts and opinions are my own. Spring is finally in the air, warmer weather, blue skies, sunshine and best of all, friend and family get-togethers. 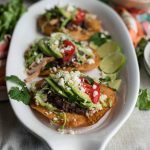 One of our favorite spring-time celebrations is Cinco de Mayo and one of my favorite Mexican foods is Tostadas. Grab all the necessary items from your local Safeway, don’t forget to use your Just 4 U for all the savings. 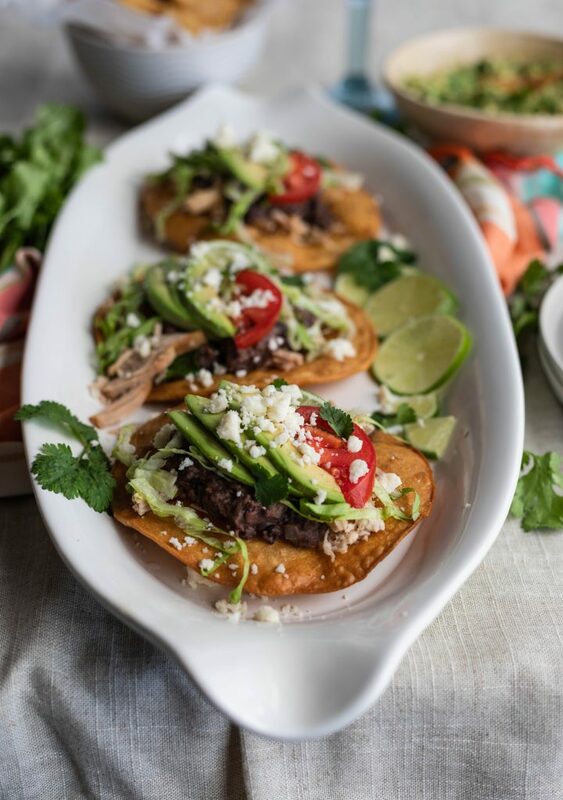 Tostadas are the perfect, authentic meal for Cinco de Mayo, crispy shell, shredded meat and topped with all the delicious veggies, cheese and sauces. This year I made the most delicious Pulled Pork Tostadas using TortillaLand© Corn Tortillas. TortillaLand© Corn Tortillas are fresh corn tortillas found in the refrigerator section of your local Safeway store. These tortillas are by far the freshest and most authentic I have ever used. With only 5 simple ingredients, I know my family is getting all the flavor without the additives. 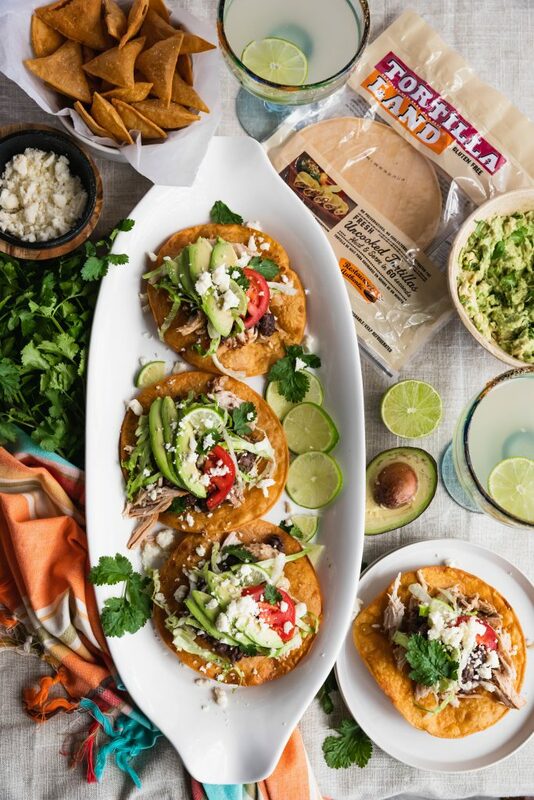 Tostadas topped with Pulled Pork, beans, avocados and all the fixings. I can always count on shopping at my local Safeway store to grab all the necessary ingredients to make any meal, including these delicious Pulled Pork Tostadas. Fresh produce and meat make the dish irresistible and easy to assemble. 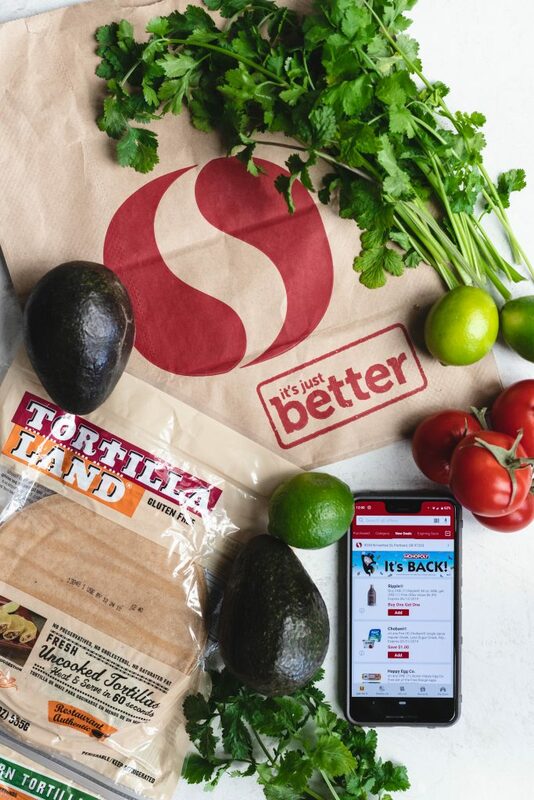 I never leave the store without checking my Safeway Just 4 U app with loads of savings on all the items I shop for regularly. I love the ease of browsing the weekly ad and the savings right at my fingertips. Each Tortilla Land corn tortilla fried to perfection. 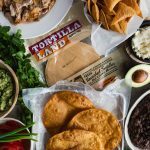 Tortilla Land tortillas make the best tortilla chips, perfect for guacamole dipping. 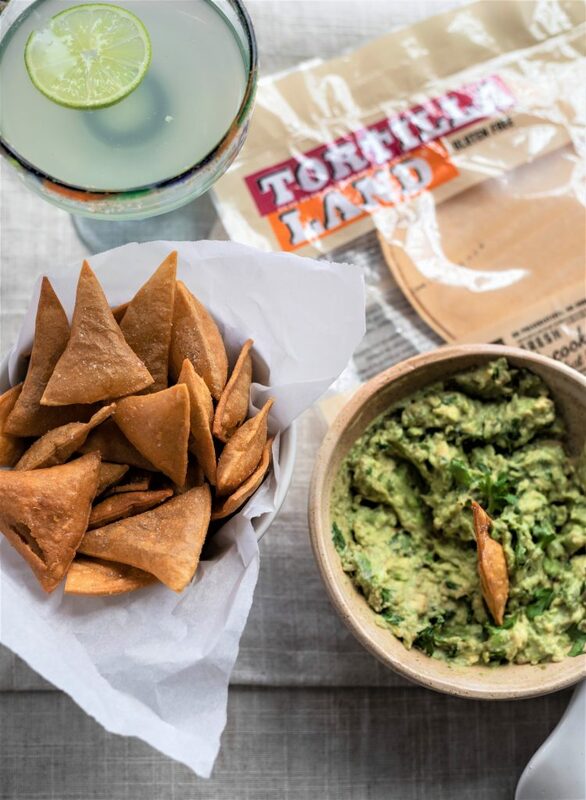 Make this Cinco de Mayo extra special this year, be the hero and go one step further, fry some extra TortillaLand© Corn Tortillas and make your own homemade chips! 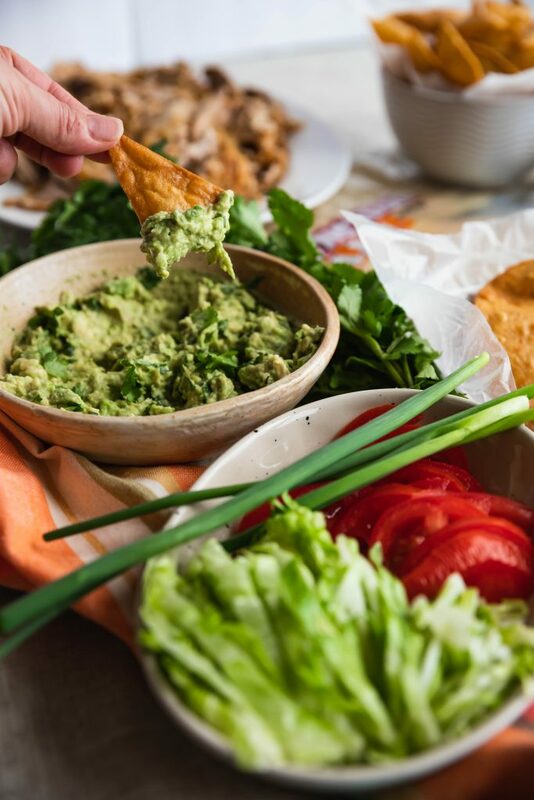 Nothing goes better with guacamole. 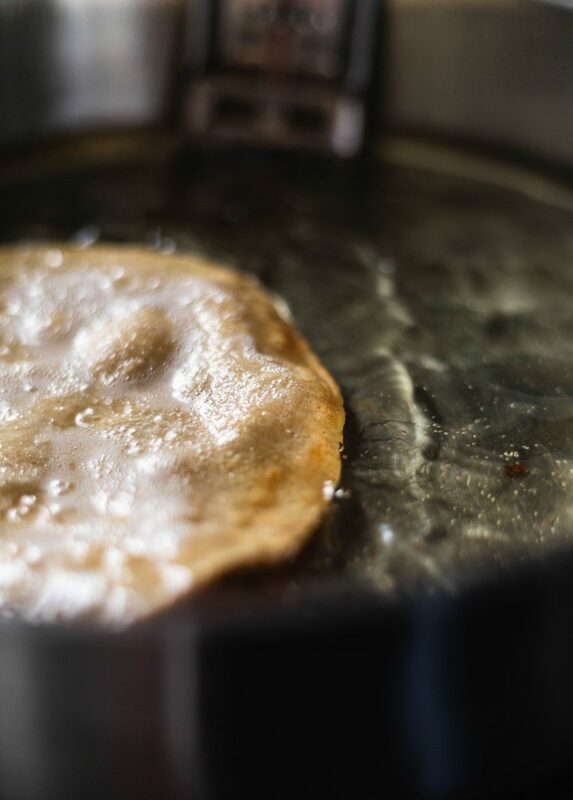 Simply cut your corn tortillas into 8 even triangles and fry for a quick few seconds and salt. 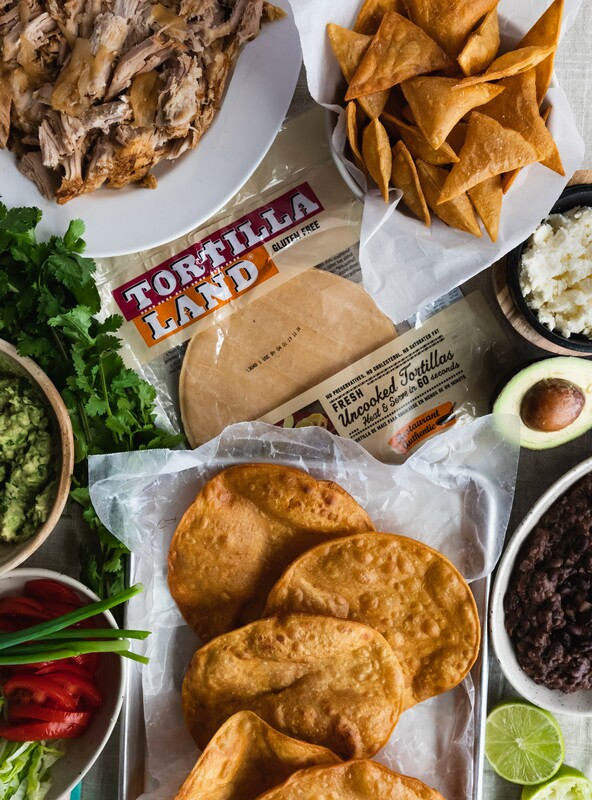 Check out the recipes below for the ultimate Pulled Pork Tostadas and homemade chips, don’t forget to download your coupon to pick up your TortillaLand© Corn Tortillas. As always, I love seeing your creations. Be sure to tag me on Instagram or Facebook and don’t forget to pin for later! Delicious tender pork, perfect for filling tosadas. Prep your pork loin by trimming any excess fat. Using a sharp knife, make 10 one inch slits to place your garlic. In a small bowl, mix your dry spices. Rub pork loin with the spice mixture. In the pot of your Instant Pot, place rack and add your onion wedges and water. Next, add your prepared pork loin. Seal Instant Pot and set to “meat/stew” for 65 minutes. Allow to release naturally for at least 15 minutes. Open lid and shred pork to prepare for tostadas. Top toasted tostada shell with pulled pork, black/refried beans, avocados, cheese, lettuce, tomato, cilantro and lime. Enjoy warm! If you do not have toum, add in 2 tsp garlic powder to your spice mixture and rub pork loin with 2 tbsp olive oil.